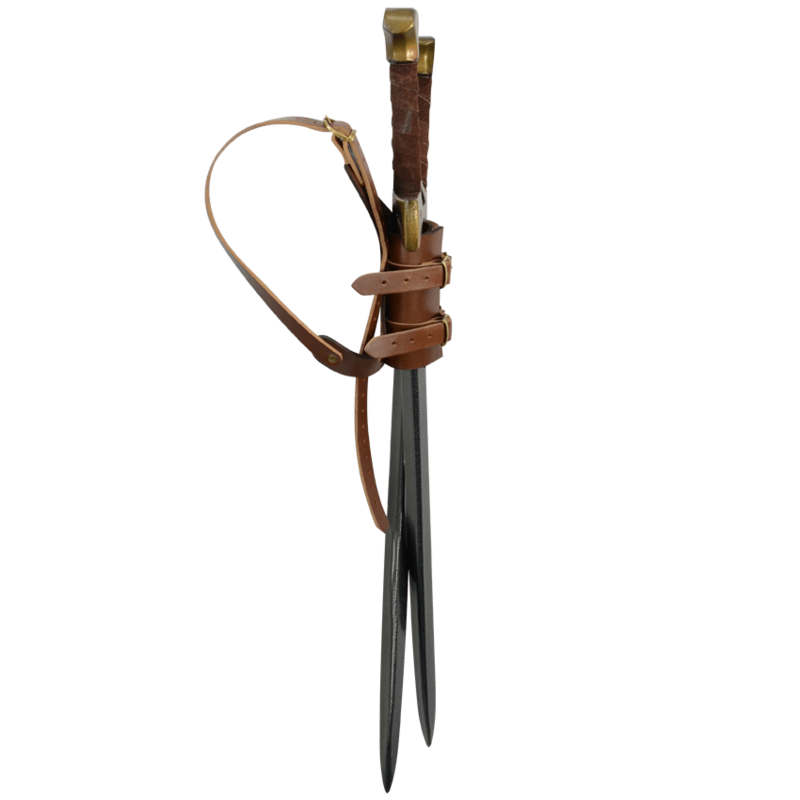 Nothing beats being able to reach over your shoulder and draw your weapon of choice! 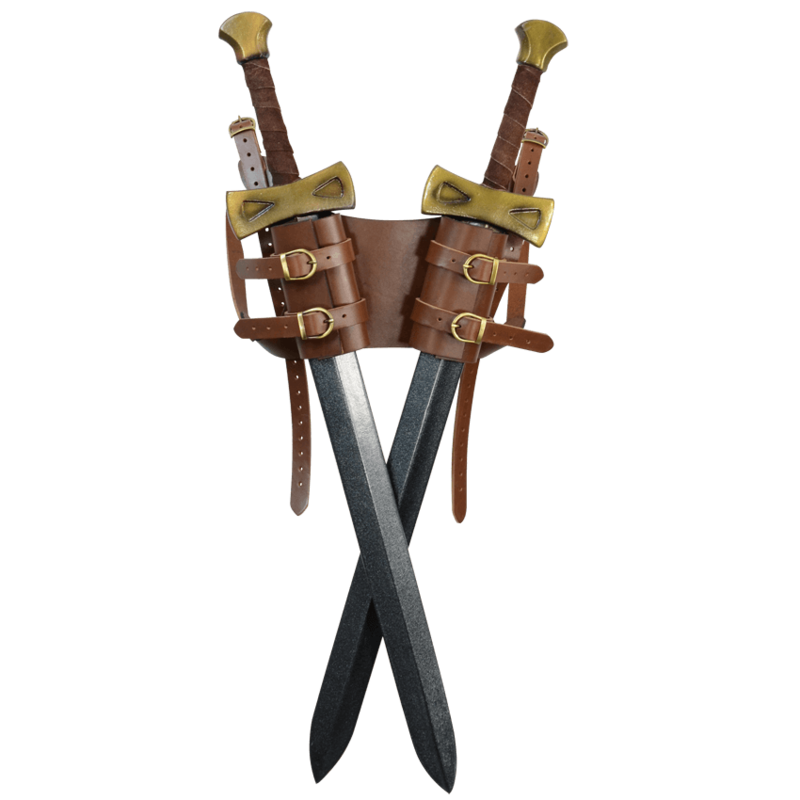 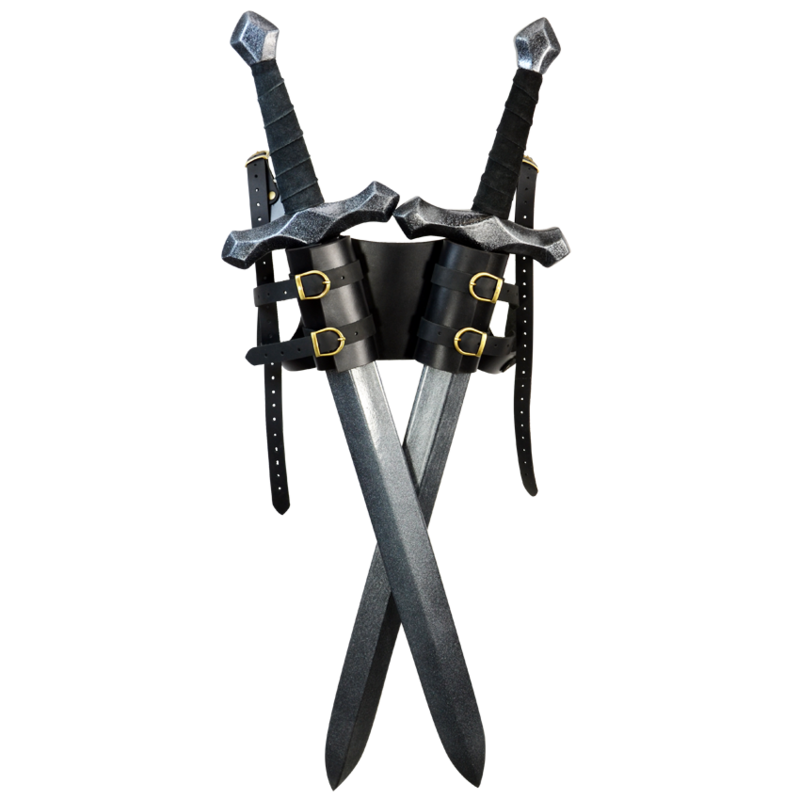 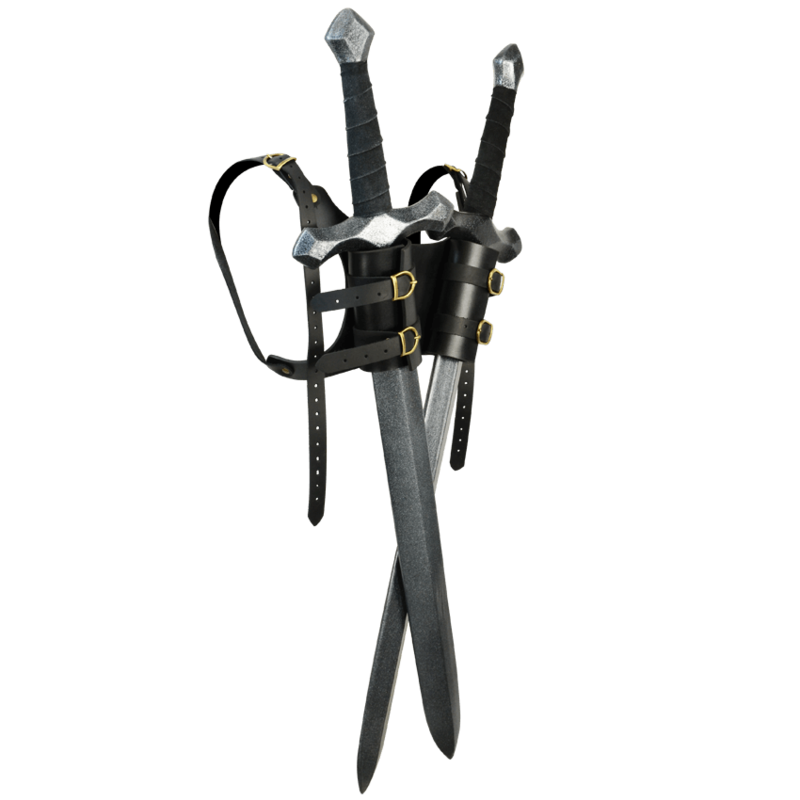 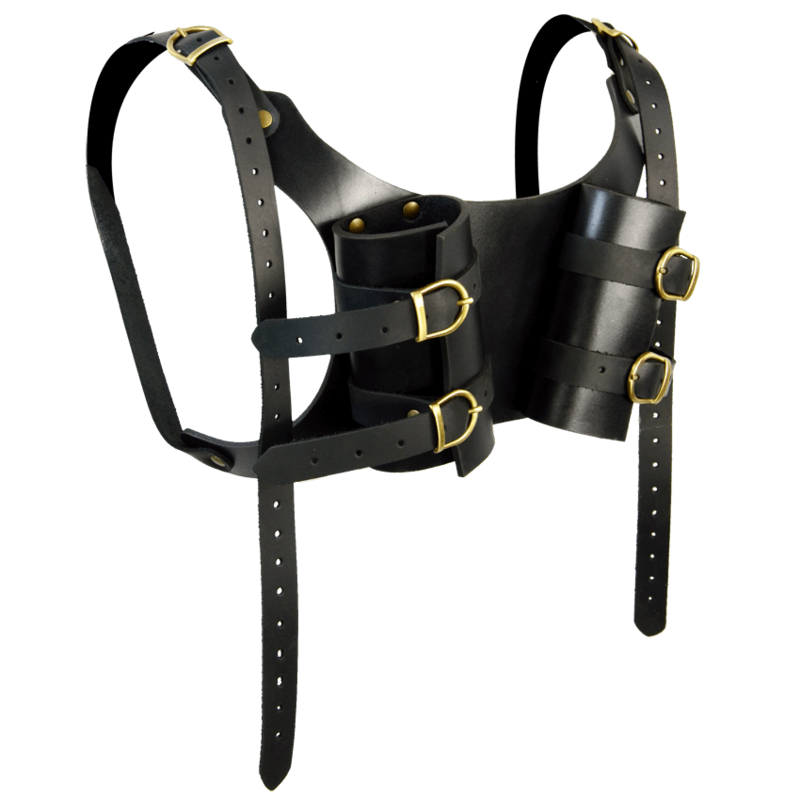 This Dual Sword Back Harness lets you do just that - in duplicate, as it gives the ability to hold two swords over your shoulders instead of one! 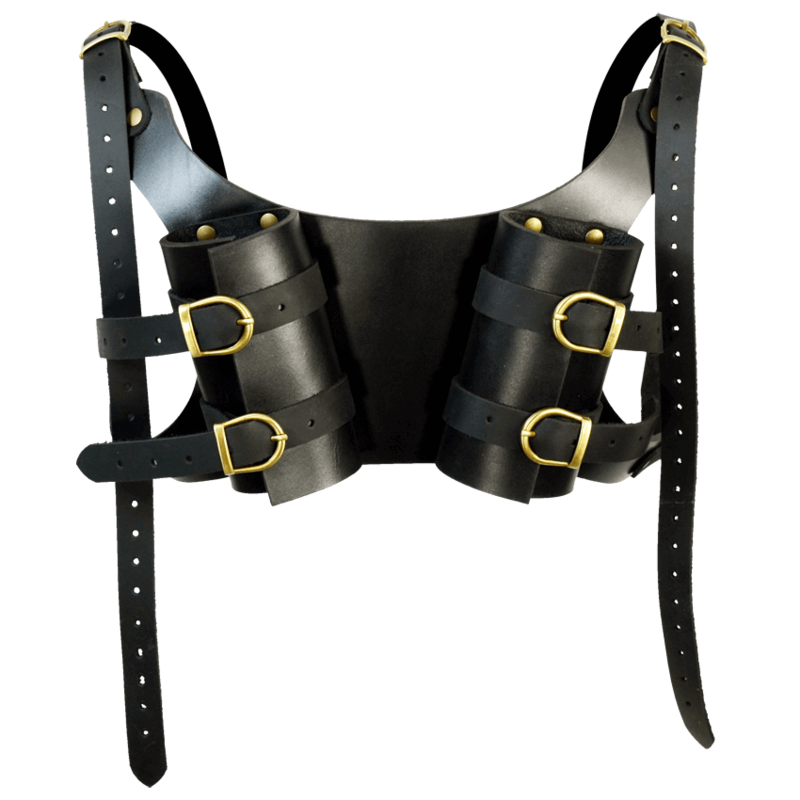 The back harness is made entirely in quality leather, and it is hand-crafted right here in the USA, in our leather shop. 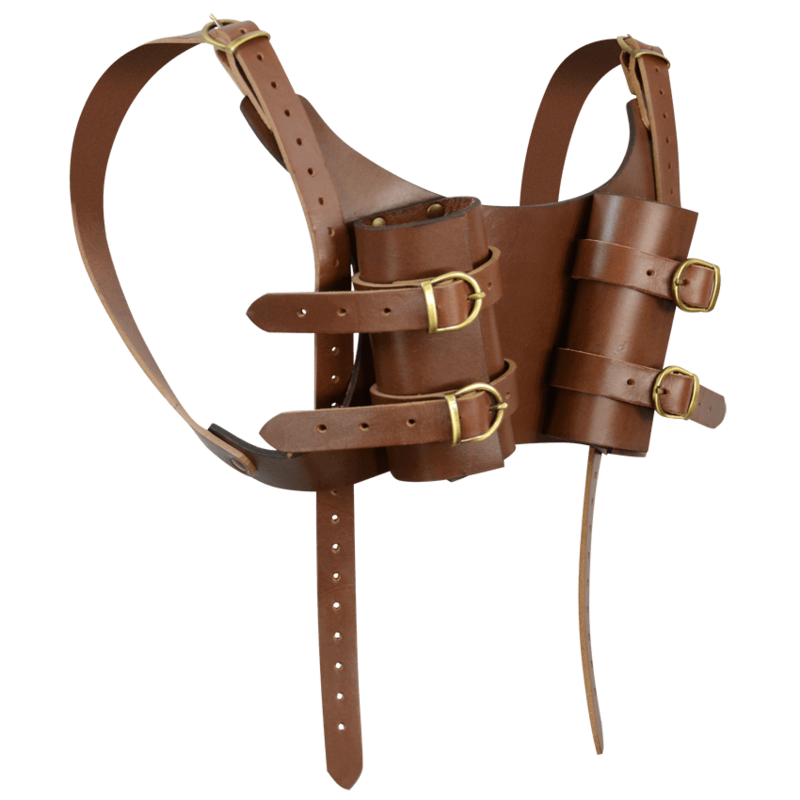 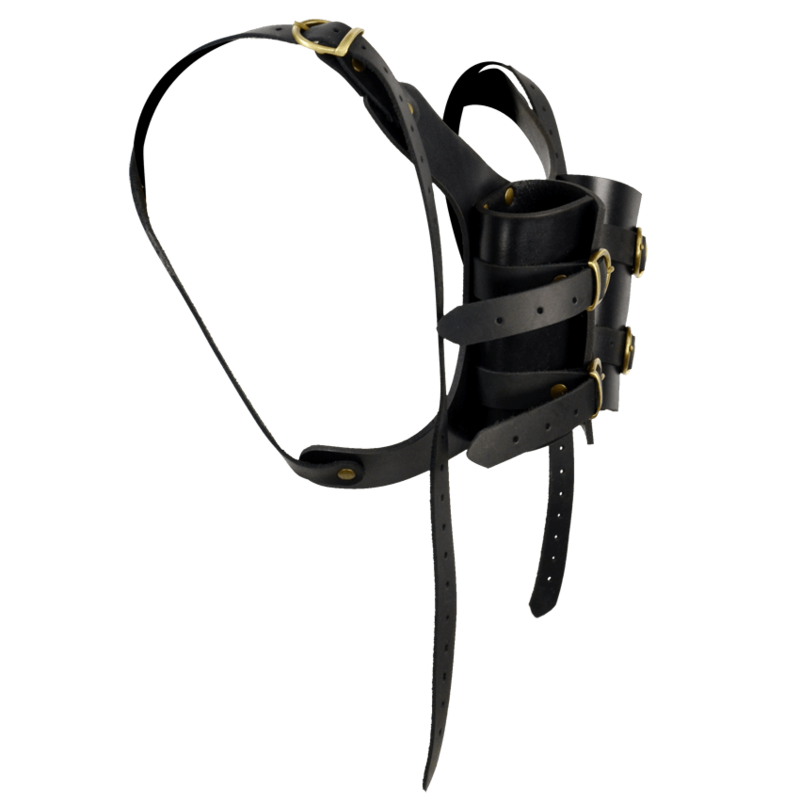 The versatile leather straps offer an adjustable fit that can be worn like a backpack or strapped around the chest, depending on your preference. 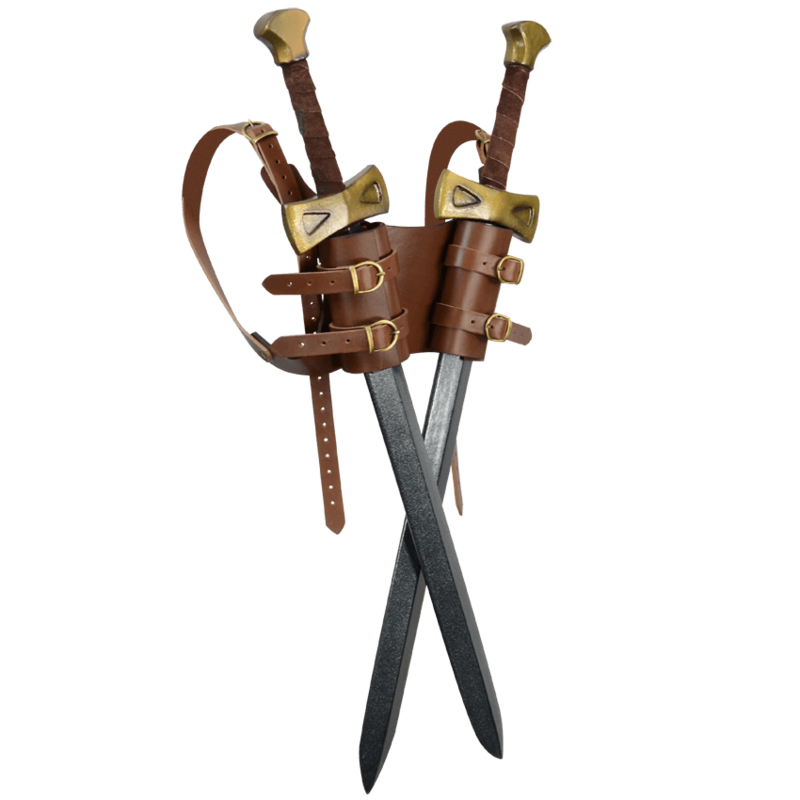 Please note that it does not come with swords or any other accessories. 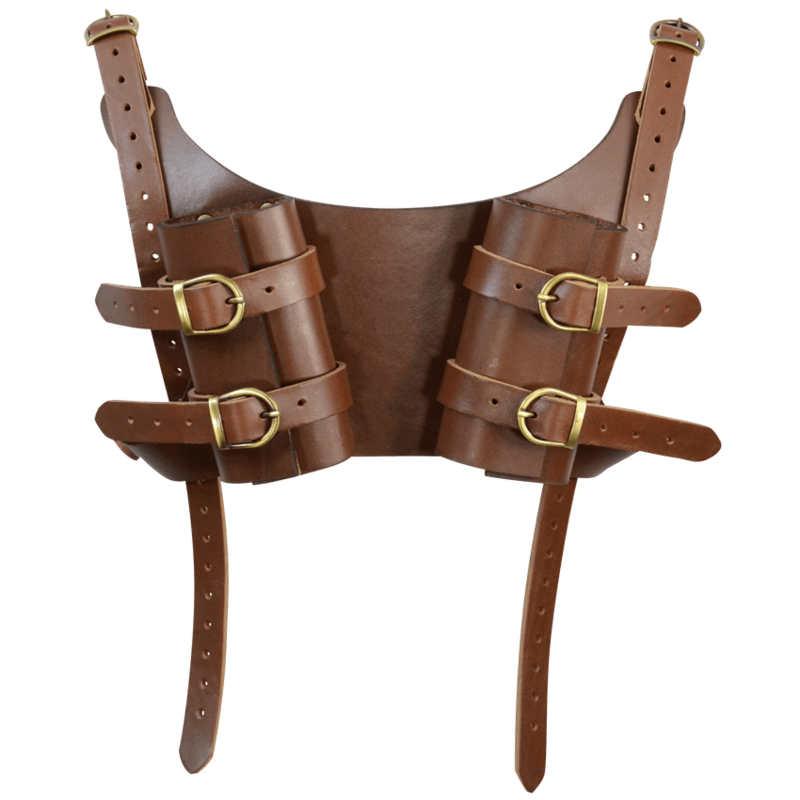 Effective and handy, the Dual Sword Back Harness is a must-have if you plan on arming yourself with twice the number of swords as the usual warrior!